Ideally located between the Serre-Ponçon Lake and the Écrins National Park, Chorges offers an exceptional view of the Saint-Michel Bay as well as the surrounding mountain peaks. The wonderful holiday village includes 110 accommodations divided among 4 buildings, near the main building, and 3 PRM chalets. 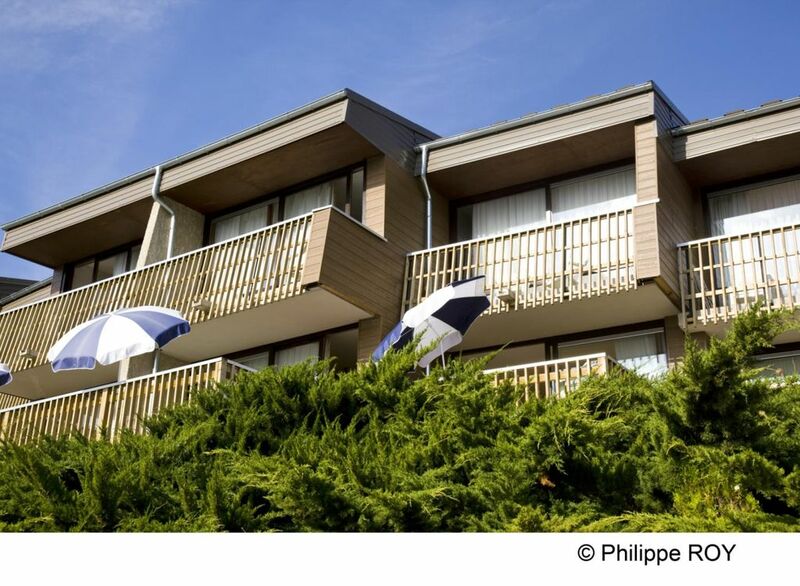 With exceptional view over Serre Ponçon Lake, enjoy the pleasures of the sea in the mountains! - Fitness area with swimming pool, jacuzzi, sauna and weights room. - Village with unobstructed views of the Serre-Ponçon Lake and its green mountains. - Reading room, large video screen, TV room, table tennis. - Illuminated sports ground (volleyball, basketball, badminton, petanque). - Insect Hotel, edutainment vegetable garden, chicken coop. - a shower room (shower, sink). In some accommodations, the WC is separated from the shower room. A baby bed can be added in the bedroom. * 3 units of this accommodation type have a double bed in the bedroom. A baby bed can NOT be added. Bistro Terroir during the school holidays, once/ week. Unsupervised outdoor heated swimming pool with children's pool and wide paved beach, open from May to late September. Fitness Area with free access, open every day from 10 am to 8 pm: Jacuzzi - Sauna - Weights room. Every week, during the school holidays, 5 sessions of sports activities are included in the entertainment program. Please note that pets are allowed ONLY OUTSIDE school holidays. Pets are allowed: 04/05/2019 - 06/07/2019 and 31/08/2019 - 29/09/2019. Lake: From the village, direct access via a path to Lac de Serre Ponçon and the beach which is supervised during the summer school holidays.